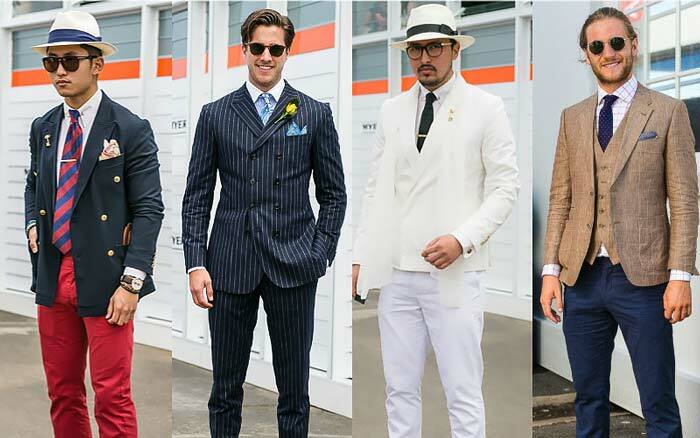 The ultimate guide for men and what to wear on the track field for this year’s Spring Racing Carnival. The Spring Racing Carnival is here again for another year which means warmer weather, delicious food and champagne, watching (and hopefully winning!) the horse races, and amazing fashion. Known as the “race the stops the nation”, the Emirates Melbourne Cup is especially known for its bright colours and vibrant pieces. So it’s important for you to step out of your comfort zone and try a new outfit while still being stylish. 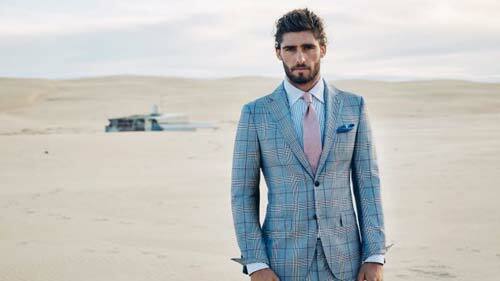 For those who normally wear light neutral colours, consider wearing a white or beige suit. Or for those who prefer a bolder or darker palette, a navy suit with a bold coloured tie such as red or green will fit the brief. Team your outfit with a pair of interesting vibrant socks as they are seen as a fashion statement on Cup Day. Although it is traditionally known as ‘ladies day’, men shouldn’t be left out when it comes to dressing up for the field. The fashion for Crown Oaks Day mostly consists of lace, pastel hues and feminine prints so don’t be afraid to try the same gents! This includes floral print shirts, pastel ties and brighter coloured suits including coral, pink, purple and lighter shades of blue. Whatever outfit and colours you choose, remember to include a pocket square with a fun pattern such as stripes or spots. With it being the final day before the Spring Racing Carnival comes to an end, Emirates Stakes Day is a more laidback, family-orientated event. Therefore, it consists of a relaxed dress code while still maintaining a polished look. A patterned suit with a subtle tie and pocket square definitely blends in well with the theme of Stakes Day. Try to focus on grey and blue suits for your attire and a team it with a basic buttoned shirt. 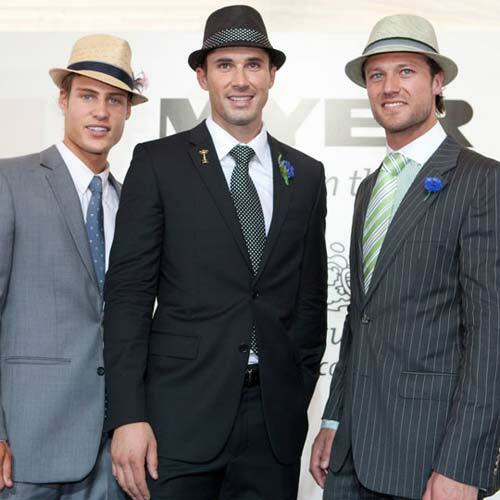 For those of you who have a particular love for fashion and style, don’t let Myer Fashions on the Field discourage you – there is always plenty of room for men to join the catwalk and register for the race wear competitions. For further information and the list of registration times, click here. Previous articleHow Will Proposed Super Changes Affect Your SMSF Property? 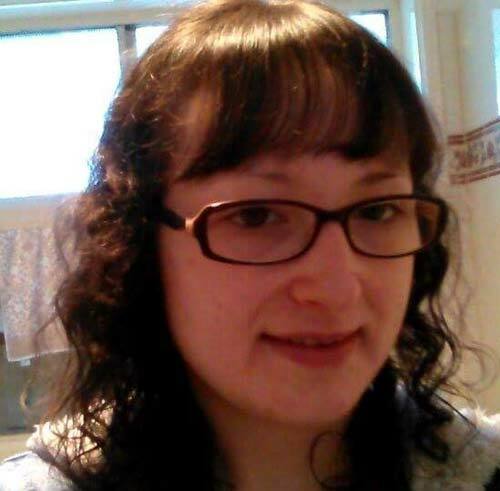 Angela Hryc is a 24 four year old writer and editor who loves everything to do with fashion and the colour purple. Her career goal is to work as a Fashion Editor for Vogue Australia and one day establish her own bag and accessories label. Angela is currently in the process of starting up her own fashion and lifestyle blog, HrycFashion where she plans to share her stories and express her thoughts and views on the world of fashion. In her spare time, you will find Angela reading fashion magazines and books, listening to music and watching her favourite movies.